NEW YORK -- "Despacito" is breaking yet another record. The popular song's music video just became the most watched clip ever on YouTube with more than three billion views, toppling the previous record holder, "See You Again" by Wiz Khalifa and Charlie Puth. 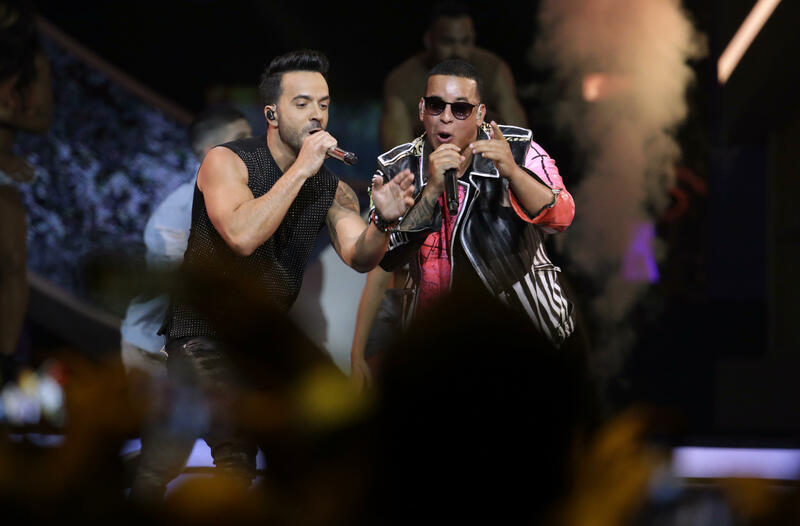 YouTube announced on Friday that the hit song, which is also the most streamed song of all time, by Luis Fonsi and Daddy Yankee, broke a new record. The song became an international smash hit this year, topping the Billboard Hot 100 chart. The record-breaking video does not include the popular remix with Justin Bieber; that version has been viewed more than 464 million times. Luis Fonsi wrote on Instagram, "What an honor.. most viewed video in history and first video to reach 3 billion views... y EN ESPAÑOL!"